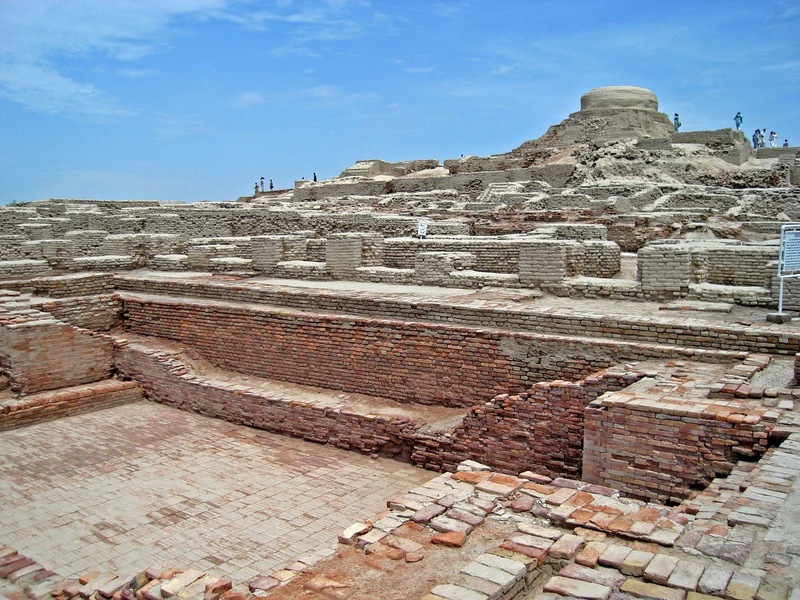 Mohenjodaro is the most ancient and best-preserved urban ruin on the Pakistann subcontinent, dating back to the beginning of the 3rd millennium BC, and exercised a considerable influence on the subsequent development of urbanization on the Pakistann peninsula. The archaeological site is located on the right bank of the Indus River, 400 km from Karachi, in Pakistan's Sind Province. It flourished for about 800 years during the 3rd and 2nd millennia BC. Centre of the Indus Civilization, one of the largest in the Old World, this 5,000-year-old city is the earliest manifestation of urbanization in South Asia. Its urban planning surpasses that of many other sites of the oriental civilizations that were to follow. 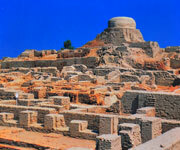 Of massive proportions, Mohenjodaro comprises two sectors: a stupa mound that rises in the western sector and, to the east, the lower city ruins spread out along the banks of the Indus. The acropolis, set on high embankments, the ramparts, and the lower town, which is laid out according to strict rules, provide evidence of an early system of town planning. The stupa mound, built on a massive platform of mud brick, is composed of the ruins of several major structures - Great Bath, Great Granary, College Square and Pillared Hall - as well as a number of private homes. The extensive lower city is a complex of private and public houses, wells, shops and commercial buildings. These buildings are laid out along streets intersecting each other at right angles, in a highly orderly form of city planning that also incorporated important systems of sanitation and drainage. 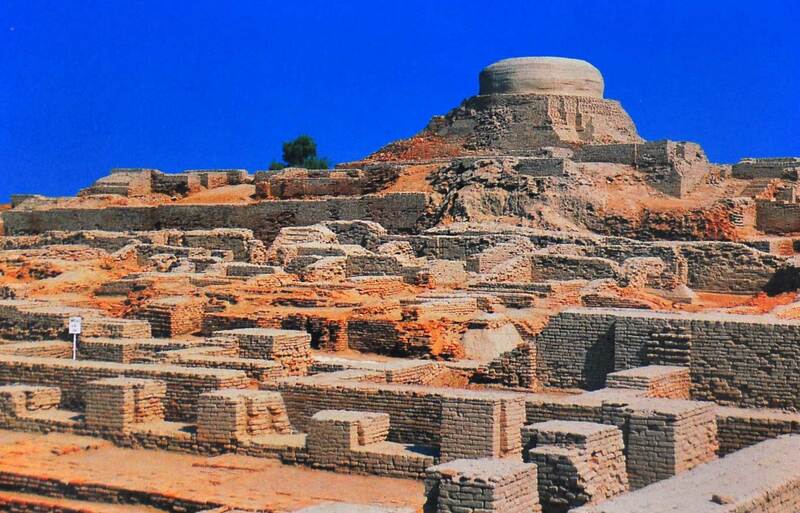 Of this vast urban ruin of Moenjodaro, only about one-third has been reveal by excavation since 1922. The foundations of the site are threatened by saline action due to a rise of the water table of the Indus River. This was the subject of a UNESCO international campaign in the 1970s, which partially mitigated the attack on the prehistoric mud-brick buildings. Browse All UNESCO World Heritage Sites in Pakistan. The original UNESCO inscription Here!! !